The Baptist Heart & Vascular Institute’s cardiovascular rehabilitation program has earned certification by the American Association of Cardiovascular and Pulmonary Rehabilitation (AACVPR). AACVPR-certified programs are recognized as leaders in the field of cardiovascular and pulmonary rehabilitation because they offer the most advanced practices available. Cardiovascular and pulmonary rehabilitation programs are designed to help people with heart and lung problems recover faster from a related health event, like a heart attack or surgery, and improve their quality of life. Both programs include exercise, education, counseling and support for patients and their families. “We are proud to earn this national certification for our cardiovascular rehabilitation program because it recognizes an outstanding level of skill and expertise in the work our team members do every day to ensure the best outcomes for our patients,” said cardiologist Henry Langhorne, III, M.D. 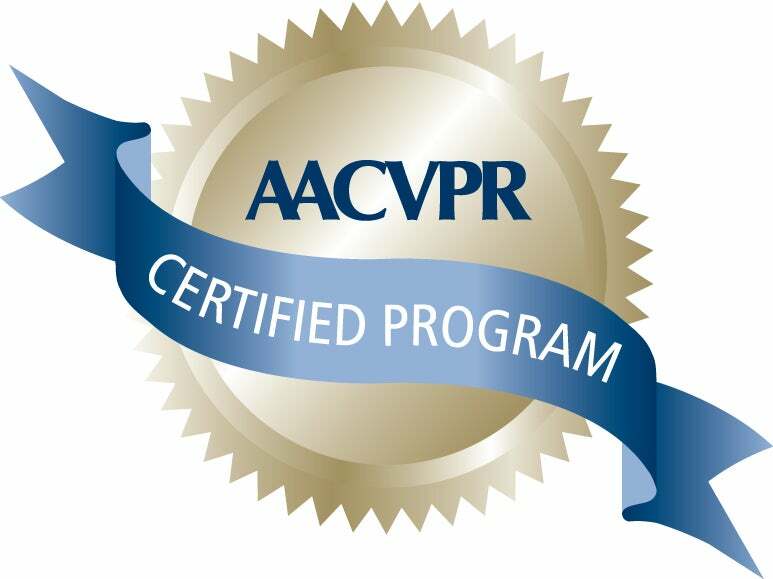 AACVPR Program Certification is the only peer-review accreditation process designed to assess individual programs for adherence to standards and guidelines developed and published by AACVPR and other professional societies. Each program is reviewed by the AACVPR Program Certification Committee, and certification is awarded by the AACVPR board of directors. AACVPR program certification is valid for three years.